Welcome to The Customer Magnet Show, which is all about helping you get the customers you want and keep them coming back for more. I’m your host, Sonia Thompson, and let’s begin this episode by all getting on the same page about magnets. A magnet is a piece of iron, that has its component atoms so ordered that the material exhibits properties of magnetism, such as attracting other iron-containing objects or aligning itself in an external magnetic field. A magnet is a person (or business in this instance) that has a powerful attraction. You need to be a magnet. You need to be so irresistible that you create this force around you that is powerful enough to attract your idal customers to you. And the closer they get to you and your business and all your awesomeness, the harder it will be for them to leave. And the cool thing is, while you are attracting the people you want to work with you, you are simultaneously repelling those away from you that are not a good fit for your work. These are the people that don’t pay, they try to haggle or negotiate over prices, or just the folks that drain every ounce of your energy as you work with them. These are not the people you want. So we’re glad to repel them away. When you become a customer magnet, you’re able to generate leads more easily. And you’re able to convert those leads into paying customers. And then you can more easily convert those customers into loyal customers, which is like the holy grail for every entrepreneur. Alright, so you’re probably wondering how you become a customer magnet. Well, here’s the strategy that makes it happen. This is a common question of many businesses, which is a shame because customers are the lifeblood of your business, and without them, you wouldn’t have a business for very long. So to escape the cycle of feast or famine, you’ve got to find a consistent source of quality customers. And to do that, you need a system that brings you predictable results. Over and over again. There is a strategy that’s been proven to work over thousands of years, in numerous industries, by tons of entrepreneurs with varying levels of experience. And it is one you should highly consider: content marketing. Here’s how it works to make you a customer magnet. Your ideal customer has a problem. You solve their problem with valuable free content. Over time, they get to know, like, and trust you. You become someone they want to have in their world, and the go-to person for a particular area. And when the time is right, you can sell them your products and services that further helps them solve their problem. And ideally, this is something that is closely related to all the content you’ve been sharing. This works so well, because you are adding value first, and specifically entering a conversation that is already in your ideal customers’ heads. The more businesses do that, the more consumers start to tune them out. Some experts say that we’re exposed to up to 5,000 messages like this a day! And it comes in all kindsof formats. For instance, one time a friend and I were walking in New York, and a guy came up and asked us if we wanted to buy a pocket knife. Frankly, we were kind of annoyed that he interrupted our conversation for something we had no need for. Contrast that with this example. You’re stiing at a cafe talking to a friend, and she’s just about to give you the dirt about what happened the night before when she spills her latte. Of course, she’s frustrated, and wonders out loud how she’s going to get this nasty coffee stain out of her white pants. They are her favorite. Excuse me, I just heard you talking about how to get stains out of white pants. I’ve got a great drycleaner that gets all of my clothes clean, no matter what I spill on oit. And I spill stuff often. Just last week he got a nasty black coffee stain out of one of my white work shirts. Here’s his contact information if you’re interested in checking him out. See how this scenario is totally different from the guy who interrupted me to sell that pocket knife? This helpful stranger entered the conversation by adding value in a way that helped you solve a problem that was already top of mind for you. As a result, his message was welcomed. This is how content marketing helps you become a customer magnet. You give first by helping your ideal customer with a burning, pressing problem, or by helping them get closer to a dream or desire they have. The data makes a pretty compelling case for why you should use content marketing to transform yourself into a customer magnet. More high-quality leads, at a lower cost, on a consistent basis. 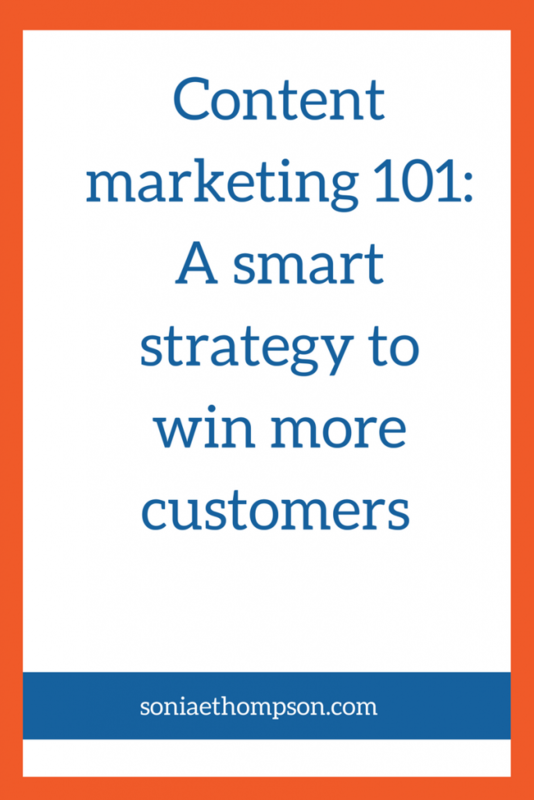 For more info and ideas on how you can use this smart strategy to become a customer magnet, go here to get a copy of a free eBook that gives you more details about this strategy, plus seven case studies of businesses who’ve used it with great results.